Galletti HiRef TVX. 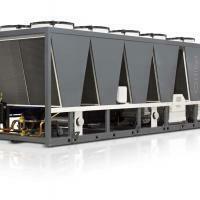 Air Condensed Air-to-Water Chillers. 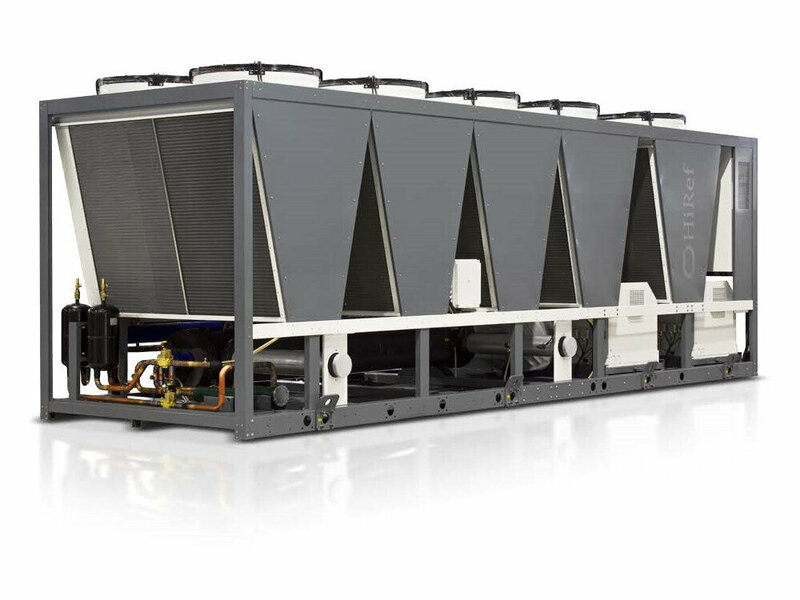 TVX units represent the new standard of air condensed chillers designed for high energy efficiency and environmentally friendly processes. 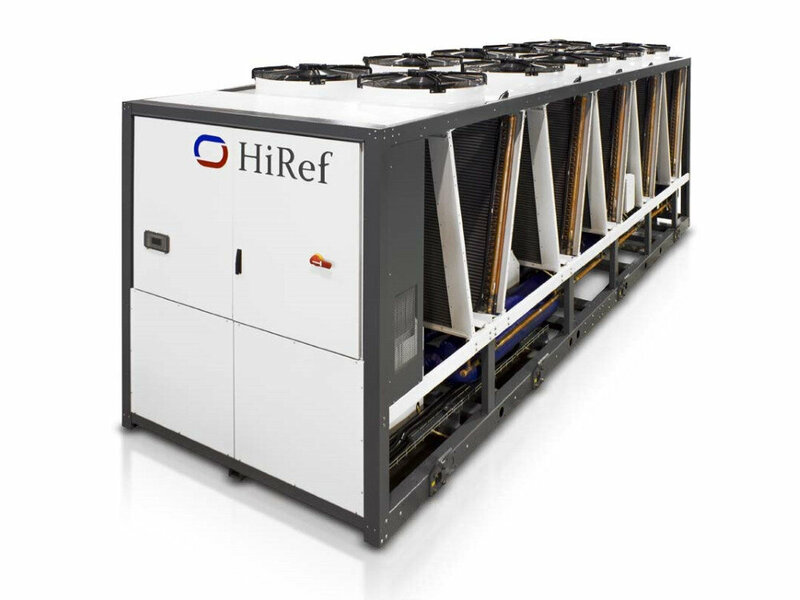 The low environmental impact is obtained thanks to new HFO refrigerants with low GWP (Global Warming Potential), whilst the high efficiency/footprint ratios are achieved with special V-shaped design of the finned coils and and their dimension, the largest in the market. 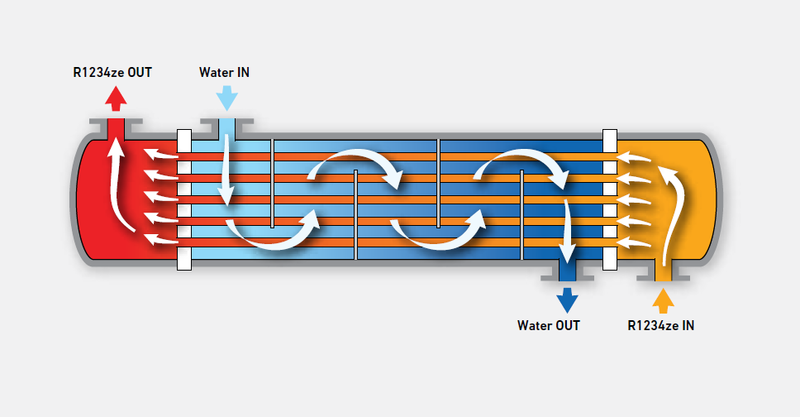 The Free-Cooling version, whose heat exchangers are twice as big as the market average, provides high performance in the Free-Cooling operating mode. The high thermodynamic efficiency (low TEWI – Total Equivalent Warming Impact – value) comes together with easy maintainability and accessibility of the compressors installed in the HiRail® extractable module, which reduces the emitted noise. – or with inverter on one compressor only. The single pass shell and tube evaporator makes it possible to achieve excellent thermodynamic efficiency values thanks to the complete countercurrent in the heat exchange. 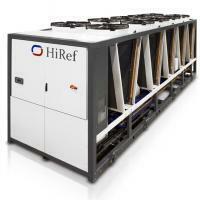 Excellent capacity modulation and high efficiency at partial loads. The configuration with “V”-type and deep modular condensing coils allows large exchange surfaces and consequently high thermal efficiency in relation to the unit footprint. The Free-Cooling version features exchangers sized so as to get a Total Free-Cooling Temperature (TFT) of 10°C*. The compressor hoods drastically reduce the noise emissions thanks to soundproofing materials. The compressors are also removable by means of sliders: this means that all maintenance operations are considerably easier. The compressors can also be removed through a hook from above and the use of a crane. The TVX range of air-to-water chillers uses the new HFO refrigerant with low GWP (GWPR1234ze=6 ) with a view to Green Technology. (Also available with refrigerant R134a).